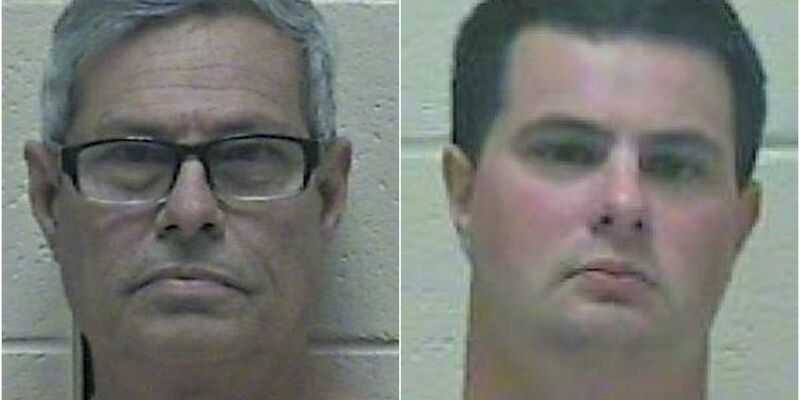 PEARL RIVER COUNTY, MS (WLOX) – Three years after a gun shop owner and his son were killed in Pearl River County, the father and son accused of shooting them are on trial. Wednesday marks day three in the murder trial Michael McCool, 31, and his dad Audy McCool, 53. The pair are accused of shooting Jason McLemore and his 17-year-old son Jacob after a disagreement over a $25 service fee. Michael McCool is charged with two counts of murder; his father Audy McCool is charged with two counts of accessory after the fact. The trial for the two men began Monday in Pearl River County. A jury was seated and at least five witnesses have testified. According to district attorney Hal Kittrell, the jury in the case in not sequestered so he was unable to offer any additional details on the court proceedings. Authorities told WLOX at the time of the shooting that Michael McCool shot both victims using a 40-caliber pistol. Michael and his dad reportedly went to McLemore’s Gun Shop on Highway 43 in the Henleyfield community on Saturday, Jan. 23, 2016, to pick up a gun. Jason McLemore told the customers that the repairs were not completed yet on the weapon and that there was a $25 service fee. One of the McCools became upset over being charged that fee, said police. Jason McLemore’s wife, who was working at the counter when the McCools came into the store, said she tried to deescalate the situation but both of the fathers and sons kept arguing, eventually resorting to physical violence. That’s when Michael McCool reportedly shot Jacob McLemore and his teenage son. Police said Jason McLemore did have an unholstered nine-millimeter pistol by his side when he was shot but it’s unclear if that weapon was ever taken out of the holster or fired. Audy McCool, left, and his son Michael McCool are on trial in the shooting deaths of Jason McLemore and his 17-year-old son Jacob.